...but you can lessen her awareness. Cortana, the personal digital assistant that replaced Windows 10’s search function and taps into Bing’s servers to answer your queries with contextual awareness, no longer has an off switch in Windows 10 Home and Pro. Cortana’s settings in the Anniversary Update. The impact on you at home: Similar to how Microsoft blocked Google compatibility with Cortana, the company is now cutting off the plain vanilla search option. That actually makes a certain of amount of sense. Unless you turned off all the various cloud-connected bits of Windows 10, there’s not a ton of difference between Cortana and the operating system's basic search capabilities. Microsoft even says as much: "With the Windows 10 Anniversary Update, the search box is now Cortana," Microsoft said in a statement. "Customers can expect the same great search experience powered by Bing and Microsoft Edge with the added benefit of Cortana’s personality." 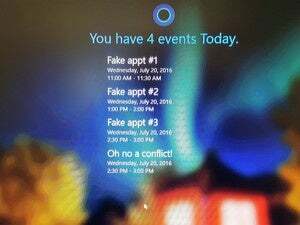 In fact, the biggest functional difference is that Cortana is far more useful than plain search thanks to the digital assistant's handy voice commands, reminders, the ability to send text messages, and so on. That said, Microsoft’s move is probably less about the practical differences between Cortana and search, and more about pushing people to use Cortana. But what if you still don’t want to use Cortana at all? Refusing to download the Anniversary Update is not an option. You can delay it, but since Windows 10 updates are mandatory for home users, you’ll eventually receive the update. 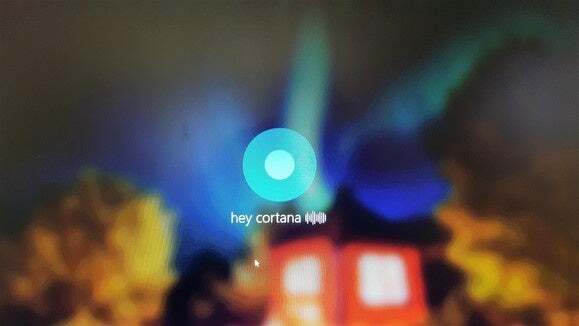 "Cortana works best when you sign in, but if you choose not to, you can still use her to chat, search the web and your Windows device," Microsoft told PCWorld. "If you like, you can also easily hide Cortana and the search box in the taskbar altogether." You can also take a few steps to limit Cortana's reach on your system. First, head to Start > Settings > Privacy > Speech, inking, & typing. Now click on Stop getting to know me and then select Turn off. This effectively makes Cortana deaf to the sound of your voice as well as blind to your typing history and—for stylus wielders— handwriting patterns. It also turns off system-wide dictation. If you're going to keep the search box on your taskbar open Cortana and then click on the settings cog in the lower-right corner. 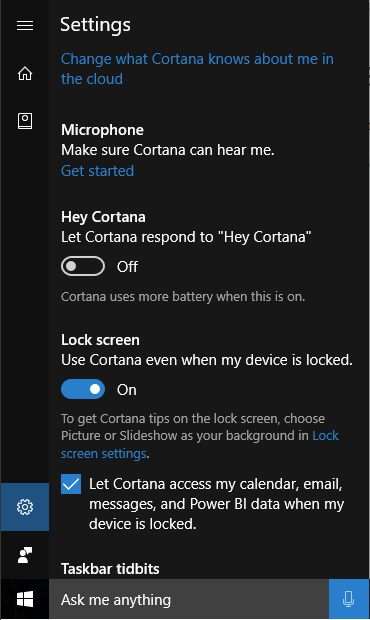 On Cortana’s settings screen, disable every slider that can be set to Off, such as search history and device history. That helps prevent some data usage and tracking, but Cortana will still be working. 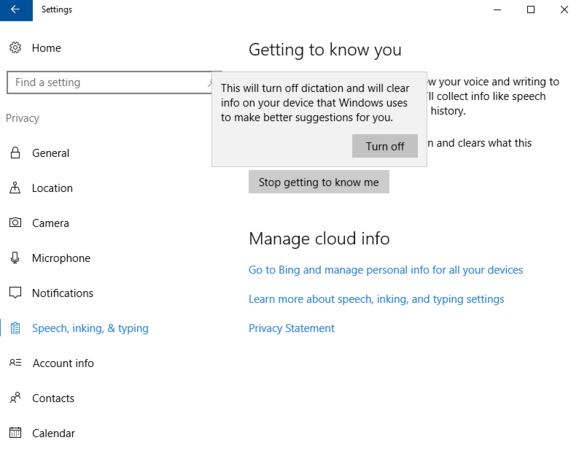 To wipe Cortana's memory of you, click on Change what Cortana knows about me in the cloud, which is at the very top of the settings panel. On the next screen, scroll down to the bottom and click Clear. This orders Microsoft to delete any information it has saved about you via Cortana, including personal interests, browsing history, and so on. 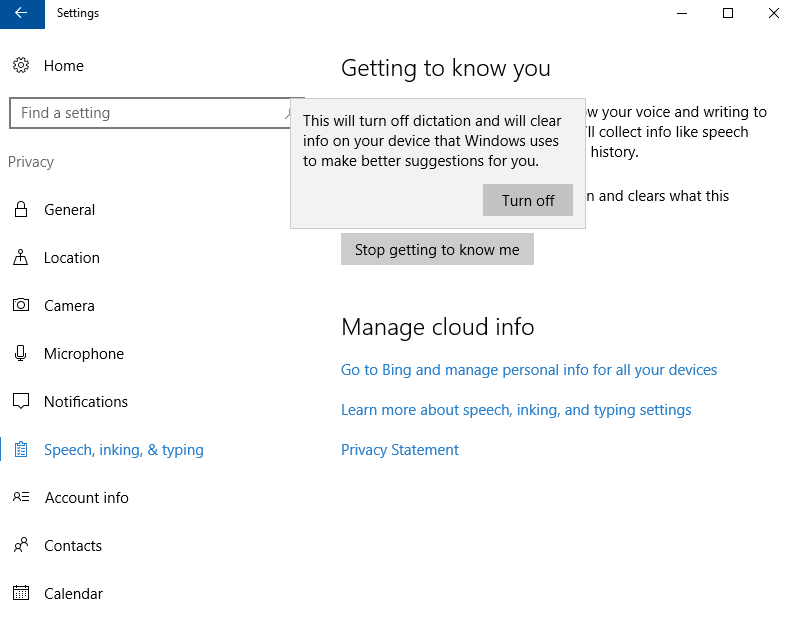 If you're going to use Cortana but feel uneasy about its data collection you should clear this option periodically. After that’s done you can also go to Bing Maps to edit your saved places (if you have any) as well as Bing’s search history page to clear information stored about your search habits. 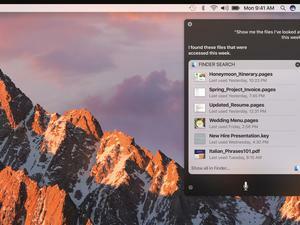 If you’re still unsatisfied after you’ve crippled as much of Cortana as possible, consider ditching it completely and going with a third-party system search utility instead. If you aren’t using Cortana's web-connected features all you really need is file and folder search, anyway. 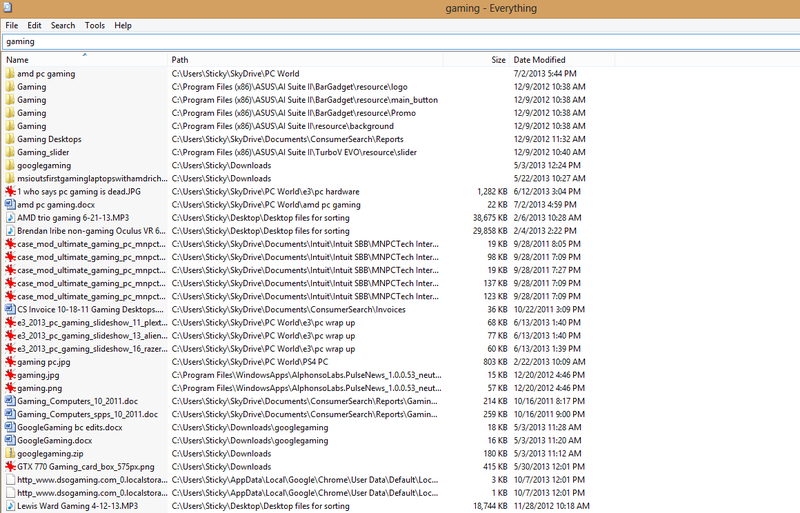 One of our favorite third-party search tools is Everything. This wonderful donationware is small, simple, easy to use, and (most importantly) fast. 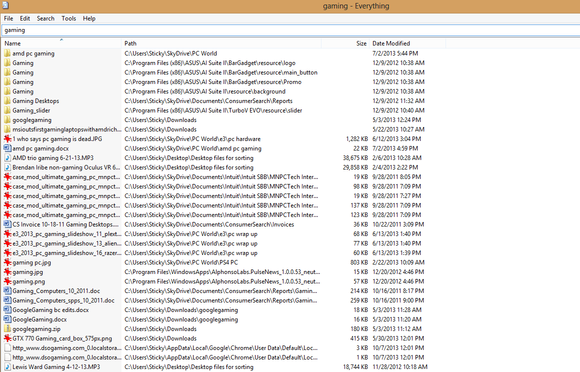 You can also pin Everything to your taskbar to make searching as easy as Microsoft’s built-in solution. 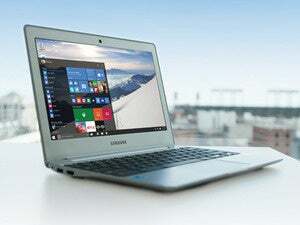 Of course, another alternative is to dump Windows 10 altogether and switch to Linux. That’s certainly a valid alternative—as commenters on this article will no doubt mention before long. PCWorld's guide to the best Linux distros for beginners and Windows XP refugees can help get you up to speed if you decide to opt for that drastic solution. Updated at 4:54 PM to add a statement from Microsoft as well as a tip to hide the Cortana search box altogether. Updated again at 9:55 AM on July 29 to note that Cortana is off by default in specific editions of Windows 10 for educators.